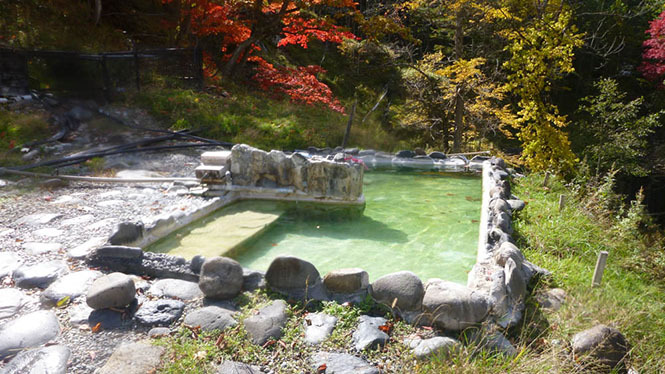 Horoka Onsen (幌加温泉) is a hot spring place in Kamishihoro town located in the northern part of Obihiro city. 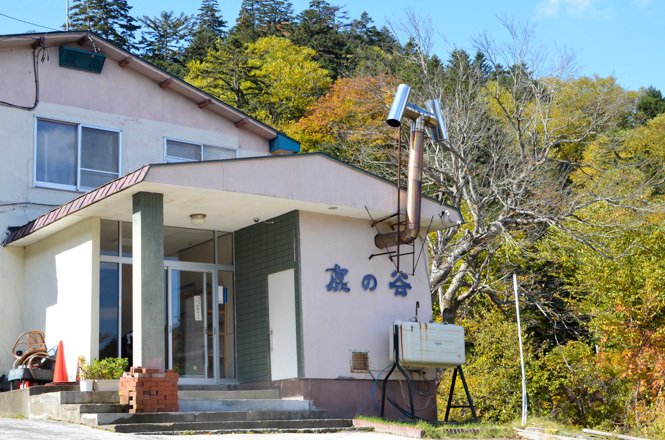 A blue signboard of the Horoka Onsen is a mark along Nukabira National Route (糠平国道 * National Route 273), and visitors turn and go straight for around 1.5 km, and the end of the road is the Horoka Onsen. 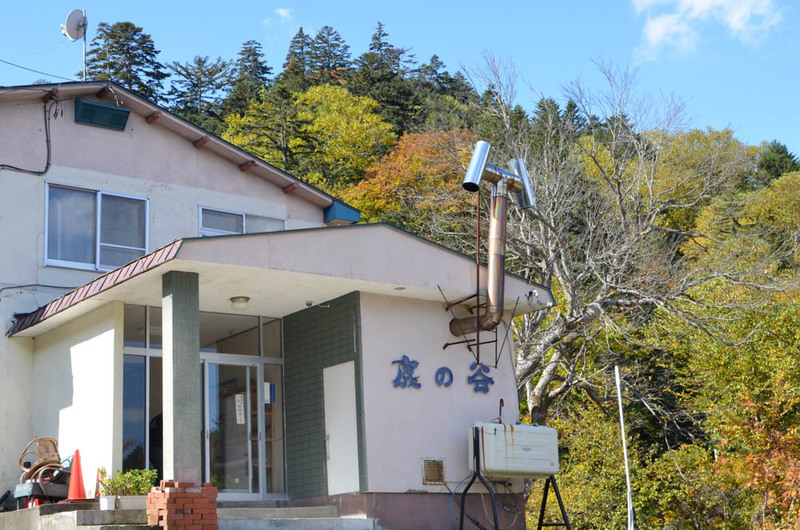 Only Kanoya Onsen Ryokan (鹿の谷温泉旅館) is built at around 700 m above sea level at the foot of Mt. 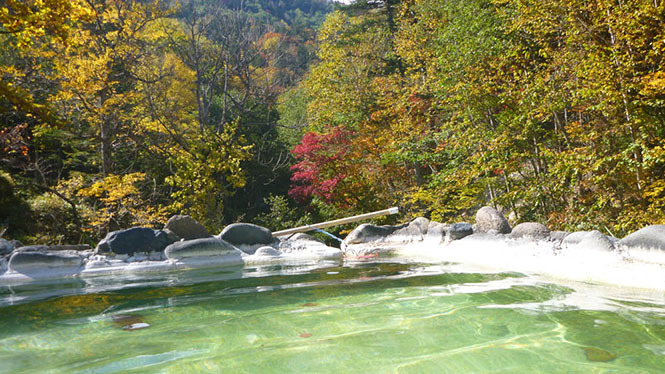 Horoka in the Higashi-Daisetsu region, Daisetsuzan Natioanl Park (大雪山国立公園 東大雪地区), and is well-known as a secret onsen. It is out of signal area. 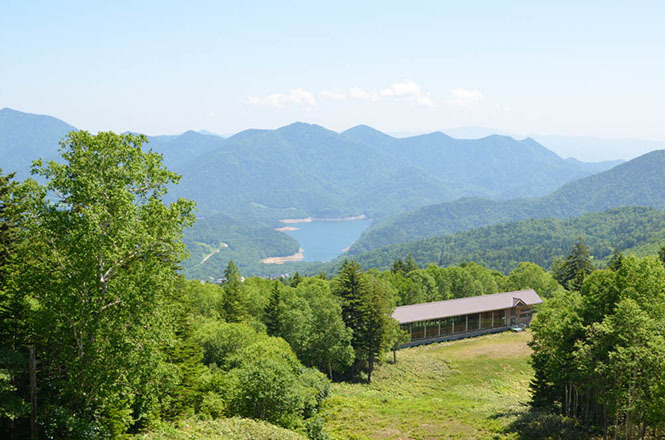 There is a trailhead for Mt. 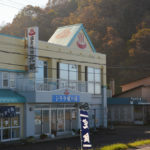 Nipesotsu, but restraunts, cafes, souvenir shops and convenience stores are not built around here. 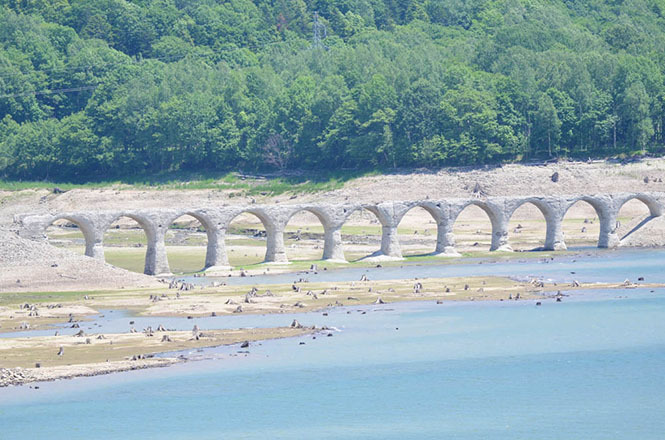 Lake Nukabira (糠平湖) is near here, and there are Concrete Arches of Former Shihorosen Railway (旧国鉄士幌線廃線跡コンクリートアーチ橋梁群) including Taushubetsugawa Bridge (タウシュベツ川橋梁), and Nukabira Onsen, Nukabira Dam, Forest Truck Railway Eco Rail (森のトロッコ・エコレール), Mikuni Pass (三国峠) and Naitai Highland Farm (ナイタイ高原牧場) are relatively near here, too. 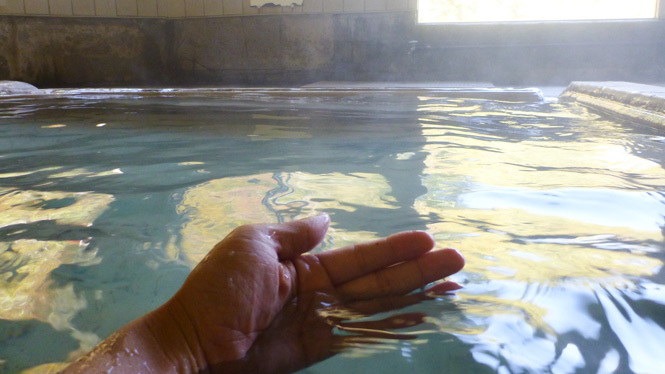 Yumeguri Ticket (湯めぐり切符) is issued to go onsen tour for JPY 1200 in the Nukabira Onsen and the Horoka Onsen, and visiotrs for day trip bath can take a bath at 3 hot spring facilities among 6 hot spring facilities, Yumotokan (湯元館), Nukabira Onsen Hotel (糠平温泉ホテル), Nakamuraya (中村屋), Primalstage (プライマルステージ), Higashi-Taisetsu Nukabira Youth Hostel (東大雪ぬかびらユースホステル) and Horoka Onsen Shika-no-Yu (幌加温泉 鹿の湯). 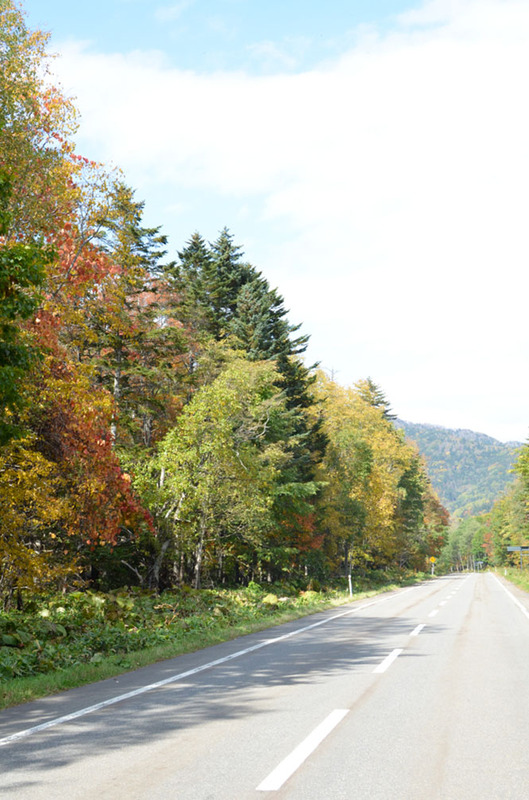 In addition, a intercity bus, North Liner (ノースライナー号), runs between Obihiro and Asahikawa. 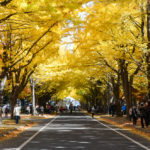 Unfortunately, nonstop buses do not run from New Chitose Airport and Sapporo to the Nukabira Onsen. 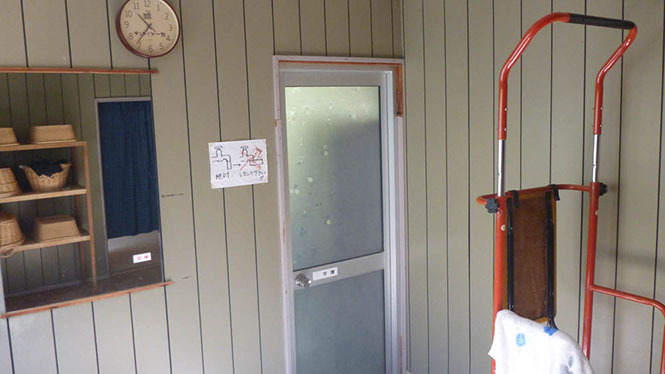 Tourists can take a day trip bath at the Kanoya Onsen Ryokan. 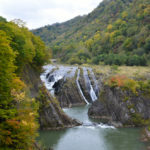 Kanoya Onsen Ryokan is a small-sized long-established onsen inn founded in 1946, and is well-known for savoring 4 types of natural free flowing hot springs, and is popular with onsen lovers and hikers. Both the appearance and the interior decoration have a good old atmosphere such as an onsen hut for hot spring cure in the Showa period. 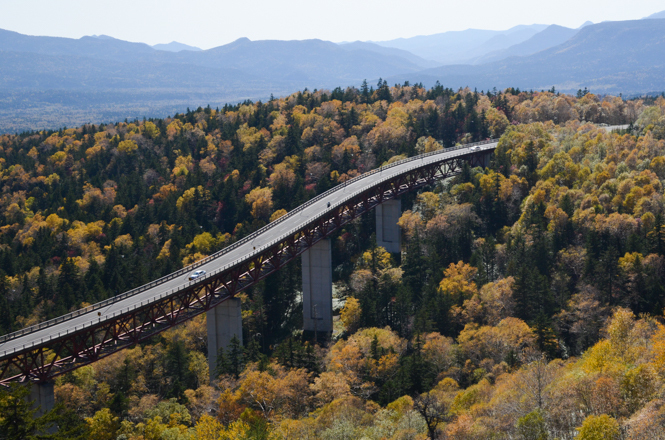 Because a lot of deers welcome visitors, it is said to be named a valley of the deers. 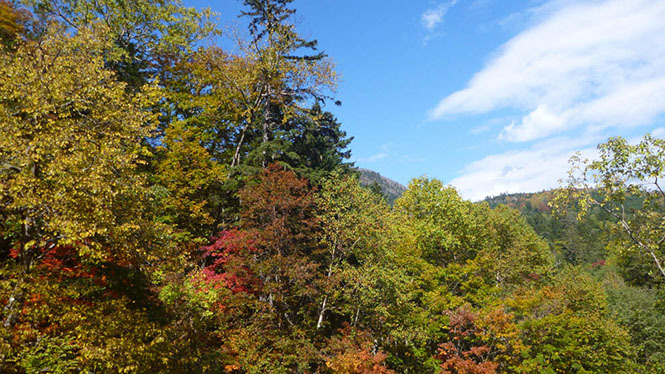 * Kanoya means the valley of the deer in Japanese. But I do not know whether it is true. 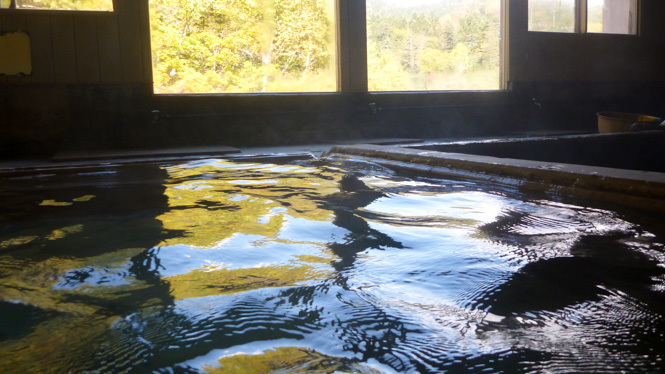 An entrance fee to the bath facility is JPY 500. Only staying without meals is possible, too. An owner, nearly 90 years-old-woman, has poor hearing, so it is hard to get in touch with her by phone. It is said that it is easy to get in touch with her by a fax. In addition, please take your garbage with you. 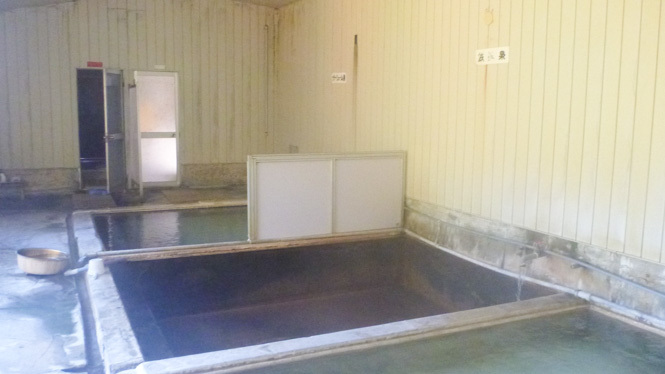 They have 2 public bathhouses, a mixed bathing bathhouse and a bathhouse only for women. 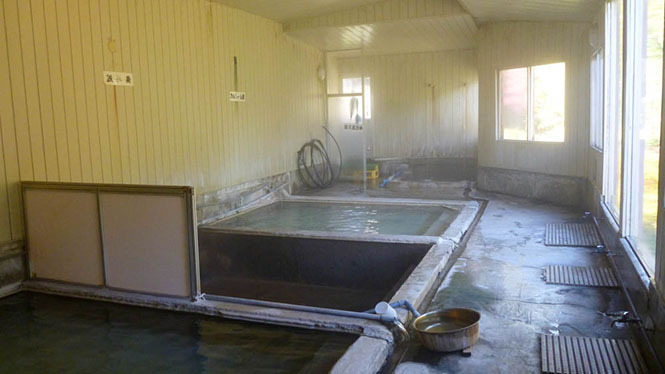 There are 1 outdoor bath, 3 indoor baths and 1 cascading bath at the mixed bathing bathhouse, and there are 1 indoor bath at the bathhouse only for women. I took a bath at the mixed bathing bathhouse. 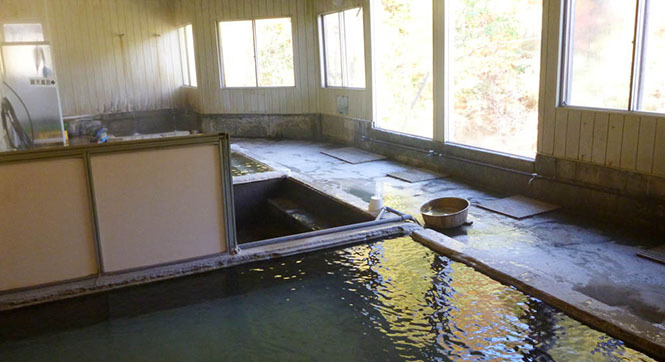 The good old bathhouse with a historical atomosphere of a hot spring cure facility is not large, and is slightly dark. But sunlight shines from large windows. 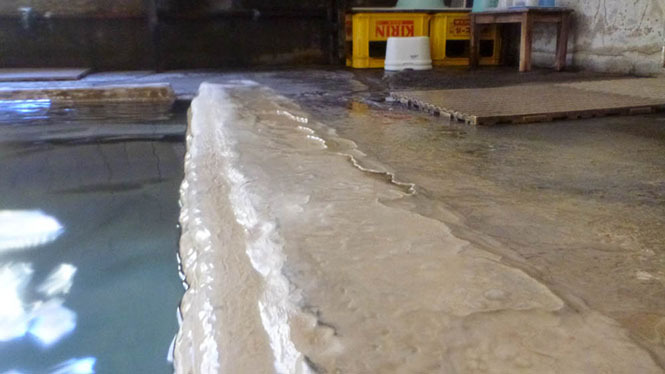 Wash palces are on the bath floor. Slatted drainboards are just the wash places. Faucet for cold water are provided beside the windows, but a shower is not provided, so bathers should pour hot springs on theirselves to wash off the sweat and the dirt with a wash basin. 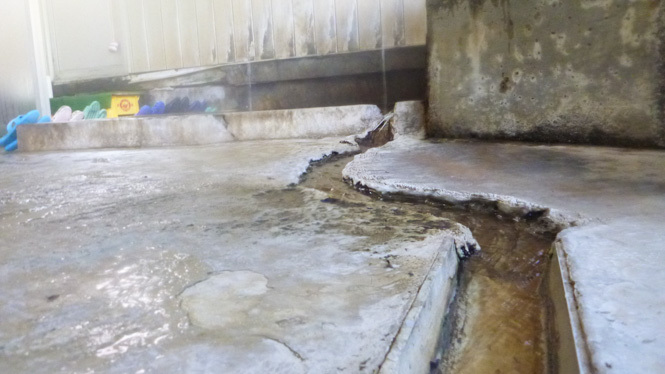 The open-air bath is around 10 m away from the bathhouse. 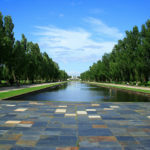 The bathers must walk on a stone walkway. 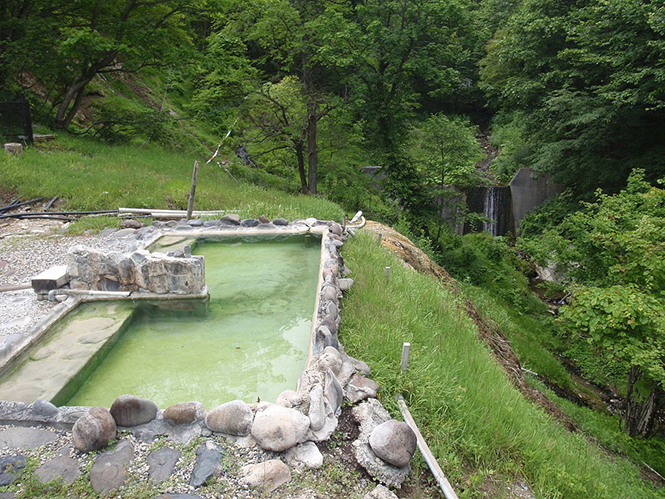 The open-air bath surrounded by rocks is the size that about 6 people can take a bath, and uses simple sulfur spring (硫黄泉), and those are clear and light yellow green and have a little salty taste and a little sulfur smell. 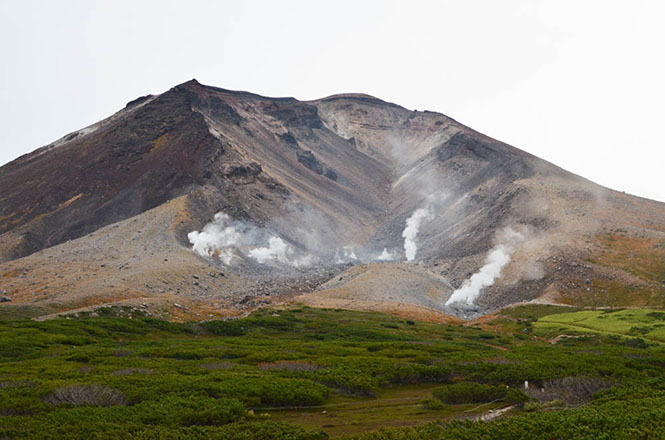 In a summer, the hot spring are added water because of very hot springs. 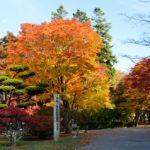 The open-air bath is surrounded by trees on a small hill, and a sense of openness can be felt very much. 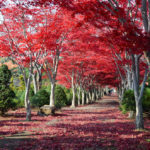 When I visited here just in fall foliage season, it was very tasteful for a view. 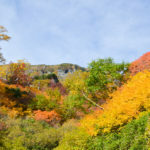 Fresh green can be enjoyed in the summer, fall foliage can be enjoyed in an autumn, and a snow view can enjoyed in a winter while bathing. Starry sky seems to be beautiful. By the way, horseflies or black flies may prevent you from relaxing in the summer. I took a bath togeter with a rider from Hiratsuka, a couple from Shizuoka and a local person at the open-air bath. A rock partition is divided into men or women, but it is almost nonexistent, so all bathes can talk with each other. 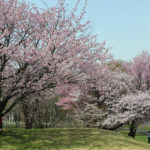 I had a comfortable talk with them about Hokkaido. 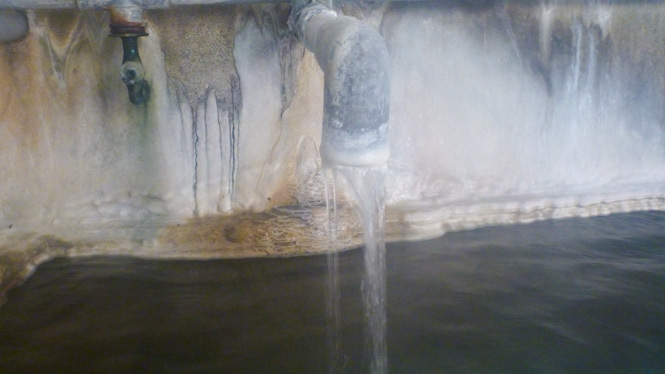 Particularly, I talked with the rider, and we were affected by taking a hot bath for too long. 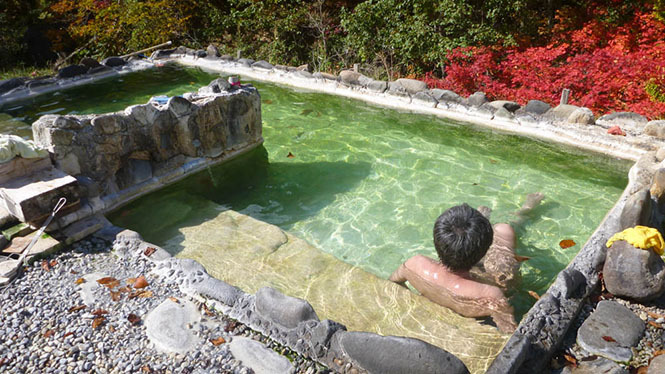 He is a fan of this onsen, and somtimes come from Kanagawa. Rider from Hiratsuka, Thank You! Because there is not a restroom at the dressing room, You should get a wash beforehand at the restroom along a corridor. Because shampoos and body soaps are not provided at the bathhouse, the bathers should bring those. 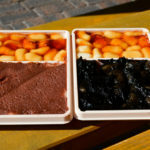 They seem to prohibit the bathers from taking a bath in wearing their swimsuits or covereing their body with bath towels, but it is Okay to take a bath in wearing bathing clothes. 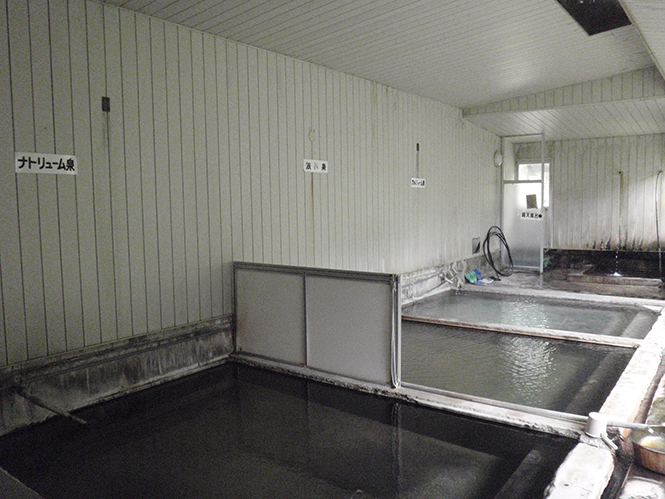 Mixed bathing open-air bath(1), Mixed bathing indoor bath(4), Indoor bath for woman(1). 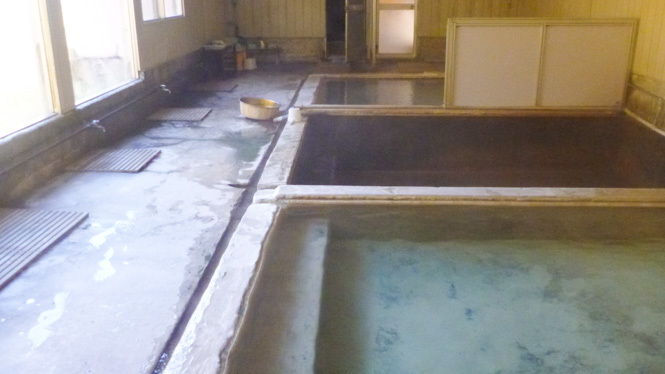 Refer to following websites for the accommodations around the Horoka Onsen. You can get information regarding online reviews and photos.